It’s very important for our children to spend their time in a safe and hygienic environment, so our hypoallergenic sanitisation service for nurseries is made to reduce dust mite and bacteria levels where it really matters. Studies have shown that high exposure to dust mites at a young age increases chances of developing an allergy to them later on in life. The symptoms caused for those already with the allergy (including 80% of asthma sufferers) can be very unpleasant and are ongoing. In nurseries we’ll clean carpets, rugs, curtains, stuffed toys, and mattresses, all of which can be havens for dust mites. The service is provided by specially trained hypoallergenic cleaning operatives using our specialist equipment. We use a steam cleaner to clean deep within carpets, rugs, curtains, stuffed toys, and mattresses. This thoroughly sanitises the mattress, removes odours, and kills dust mites. Our wall mounted air purifier system can dramatically improve the quality of indoor air, helping remove particles in the air that cause disruption to airways such as dust allergen, odours and germs. It is a four stage process, which is chemical-free and takes no longer than half a day to complete, and should be carried out up to four times a year depending upon level of usage of the rooms. At the end of the process we will provide each nursery with a certificate for them to display for parents and visitors, showing that they’ve made efforts to reduce dust mite levels. NUNU Nursery in Nottingham used our services recently to create an allergy friendly room for their children. Click here to see what they said about Mum’s Helping hands Hypoallergenic Cleaning Service. 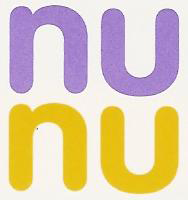 NUNU is now certified as having an allergy friendly room and has made efforts to reduce their children’s exposure to dust mites and their allergen. Click here to view their website. If you are interested in using this nursery for your children, then you can contact Teresa on 0115 946 3003. We also provide this service in hotels to create our Allergy Friendly Hotel Rooms to make travelling around the country easier for sufferers.